With November being recognized as Lung Cancer Awareness Month, today’s blog post touches on awareness’s necessary precursor: Discovery. The kick that’s set the ball in motion. 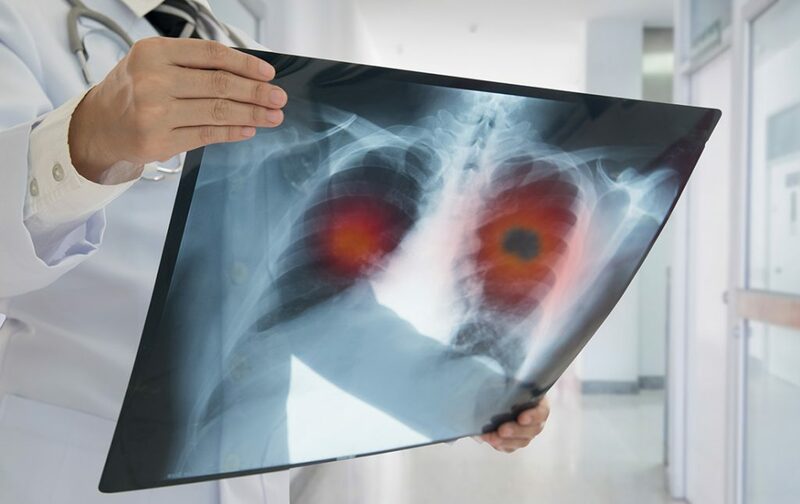 A research team at Cold Spring Harbor Laboratory earlier this year announced the discovery a new kind of small-cell lung cancer (SCLC). While the general public may not consider this particularly good news, the identification paves the way for developing more specific and personalized medicine approaches to target this previously unnoticed form of the disease. The finding is of great importance with regard to this particular cancer, especially as SCLC has no specific treatment and often spreads early, beginning in the nerve cells or hormone-producing cells of the lung. The term “small cell” stems from the size and shape of the cancer cells under a microscope. Chemotherapy, radiotherapy and surgery enable only six percent of patients to survive five years from the time of their diagnosis. While cigarette smoking is the main causal agent of lung cancer, it is not the only one. Anybody can develop lung cancer. As many as 15% of all lung cancers are SCLC. The research team, led by Christopher Vakoc, M.D., Ph.D., a Cold Spring Harbor Laboratory associate professor, found a paucity of neuroendocrine markers in pulmonary neuroendocrine cells, a cell type thought to be the source of SCLC. To further characterize this minority of cells, Vakoc and colleagues used a method they developed in 2015 using CRISPR (short for “clusters of regularly interspaced short palindromic repeats”), a powerful gene-editing tool allowing researchers to edit DNA sequences and gene function. It is a specialized region of DNA with two distinct characteristics: nucleotide repeats and spacers. Repeats are sequences of nucleotides, the building blocks of DNA, distributed throughout a CRISPR region, while spacers are bits of DNA interspersed among the repeated sequences. Using this “CRISPR screen,” the Cold Spring team found that a transcription factor called POU2F3 is expressed exclusively in the minority of SCLC tumors with low levels of neuroendocrine markers. It turns out that this variant form of SCLC tumors is derived from a separate class of rare cells called tuft cells.